With a long and vivid history dating back to the distant 9th century it should come to no surprise that Belarus has plenty to offer when it comes to cultural sites and architectural landmarks that bear crucial historical significance. Joseph Reaney visits the Bialowieza nature reserve in Belarus in search of its most iconic resident. It’s early morning and I’m tiptoeing through the undergrowth. Shafts of sunlight pierce the canopy overhead, spotlighting fragments of the forest all around me. I survey them for the slightest sign of movement. This ancient habitat is home to an extraordinary array of endangered species, but I’m in pursuit of one in particular – the heaviest wild animal living on the continent, the European bison. It wasn’t too long ago that these gentle giants – the 2,000lbs herbivore cousins of the American buffalo – roamed freely across northern Europe. However, by the start of the 20th century, the European bison had been hunted to near extinction by a succession of Polish princes, Russian tsars and German troops. One of the world’s oldest ecosystems is under siege by a tiny, deadly force. 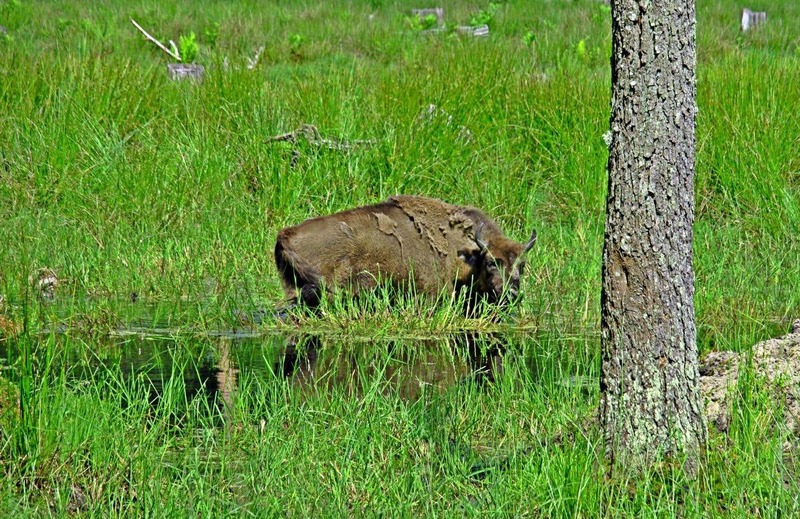 Straddling the border of Poland and Belarus, the Bialowieza Forest is home to 20,000 animal species, including roughly a quarter of the world’s bison population. At nearly 600 square miles, it is the largest remaining section of the continent’s oldest primeval forest, which once stretched across the entire European plain. Its delicate ecosystem, largely untouched by humans, dates back to the Ice Age, some 10,000 years ago. That this ancient forest, a UNESCO World Heritage Site since 1979, and its wildlife are so well preserved is a testament to decades of conservation efforts. But, despite such protection, the Bialowieza Forest remains threatened by a deadly force: An infestation of bark beetles that are consuming spruce trees at an alarming rate. The situation has splintered environmentalists. Belovezhskaya Pushcha which is located on the border of Belarus and Poland became the transboundary site on the UNESCO World Heritage, BelTA learnt from the scientific department of the National Park. The World Heritage Committee approved the extension of the transboundary site in Poland and Belarus at the 38th session in Doha on 23 June. The transboundary object is now called Bialowieza Forest (Belovezhskaya Pushcha) with a total area of 141,885 hectares, of which 81,000 are in Belarus. Together with the buffer zone the area of the forest is 308,583 hectares. The committee also adopted a proposal for the new nomination criteria that better reflect the exceptional value of the Europe oldest forest. Earlier Belovezhskaya Pushcha was on the world heritage list under criterion VII, which implies the possession of an outstanding aesthetic value. Now the natural complex is nominated under the more appropriate criteria IX and X.
BREST, 28 May (BelTA) – The Belovezhskaya Pushcha National Park has become a partner of PAN Parks, the European wilderness protection organization, and has been awarded the Wilderness Diploma, BelTA learned from Vasily Arnolbik, deputy director general for science of Belovezhskaya Pushcha. PAN Parks (Protected Areas Network) is a European non-governmental organization which protects the most valuable wild territories by creating a network of wildlife parks for the development of sustainable tourism. It plans to unite into a single system up to 1 million hectares of pristine natural habitats and ecosystems in Europe by 2015. Belovezhskaya Pushcha is the first and so far the only specially protected natural area of Belarus included in this international network. Under the terms of PAN Parks, only the areas that protect at least 10,000 hectares of pristine wilderness can become its partner.